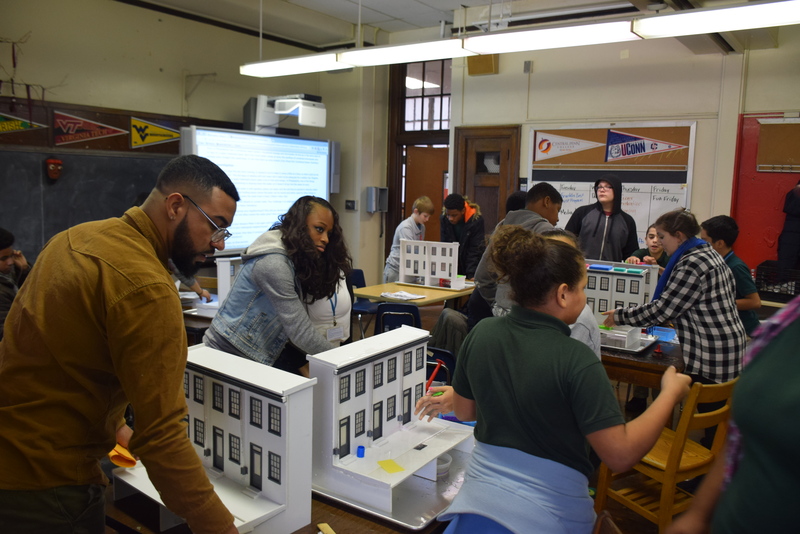 The CUSP program is a 10 session program that explores what climate change means for Philadelphia, and how science, technology, engineering and math (STEM) are helping us prepare. The CUSP program addresses climate change in a way that’s engaging, concrete, and fun. The program does not dwell on the global problems caused by climate change, but rather the local solutions to these problems, and the science behind them. Through hands-on activities, participants learn how a tree acts like an air conditioner, how rain gardens work, and how they can get these resources for little or no money in Philadelphia; information that they can then share with their friends, family, and community. The program includes 9, one-hour lessons, and a trip to The Franklin Institute. An outline of lessons is below. The Franklin Institute leads CUSP with support from the National Science Foundation. For more information, please visit www.CUSPproject.org.